The process of connecting utilities for industrial developments is a tedious and complex one. With many different parties and multiple connection points involved, getting your head around and coordinating them can be a nightmare. The process is not only expensive, but also frustrating when having to go through similar steps over and over. To overcome this, you can use a multi-utility service provider, who will reduce the burden and eradicate the complications, with a complete service from start to finish. What is a multi-utility service provider? All areas of utilities will be covered from an integrated full-service package, tailor-made to your exact requirements. By scrapping having to deal with several companies for different areas on the same premises, you will reduce a huge chunk of your management and effectively benefit from streamlined project management skills. Only one service provider handles the entire connection process from the outset. 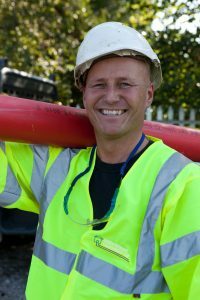 They will manage any problems onsite and ensure they’re resolved quickly and professionally. That way, they can assess project requirements, evaluate design and build options and understand cost and timescales, to give you a clearer picture of completion dates. Fewer contact points, mean better communication – and better communication means more efficient service. They will directly install, plan and coordinate works with the incumbent network owners to carry out a seamless installation service, eliminating the need for you to contact multiple parties to get your site connected. It’s a well-known fact that dealing with land ownership rights when setting up infrastructure takes a fair bit of time. Associated legal work with land and access rights for utility infrastructure is a common route of delay because it usually involves third party, councils, statutory bodies, landowners and solicitors. Procuring water, gas and electricity through one provider reduces the bureaucracy and paperwork. Having all areas under control will enable you to meet tight deadlines of a big project that involves large investment. What’s more, a multi-utility provider can proactively work on resolving any future problems that could arise due to third party property owners. By providing a comprehensive design and build package, they can help alleviate the risk of delays, resulting in significant time and cost savings. Multi-utility companies can make the connection for multiple networks via the same trench. Most ICPs have their own team to make sure the connections are installed through the most efficient means. This is the most cost-effective way and also takes care of the compliance according to the standards and guidelines outlined by the authorities. They will ensure infrastructure is routed in the most efficient manner too. What’s more, choosing one provider for gas, water and electricity utility connections makes good money sense. The process involves designing, planning and installation for only one time that enables a service provider to concentrate on quality rather than quantity. With us, it’s about going beyond your expectations and removing the need to go to numerous companies. With our customer-focused, streamlined approach, we are helping home owners, commercial customers and industrial developments across the UK with all their gas, water and electricity needs. 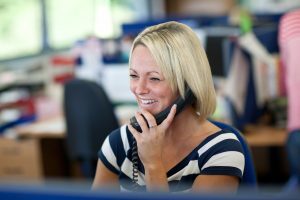 To find out how we can help you with a multi-utility solution, please call 0800 027 5052 and one of our friendly team will be happy to help. Whether you’re a small, specialised site or you’re managing a large complex construction project with many areas to manage, we have the experts on hand to deliver you a tailor-made solution from start to end.